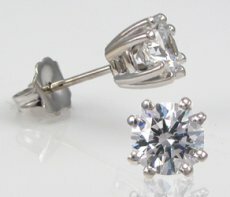 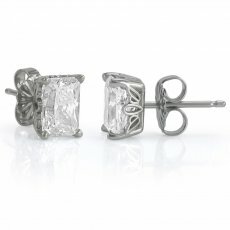 Put your sophistication on display with our simulated diamond solitaire earrings. 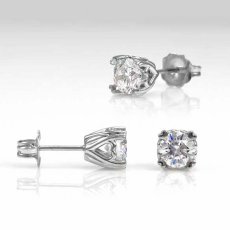 Designed to capture the spirit of timeless glamour, these exceptionally brilliant pieces take any outfit from basic to beautiful. 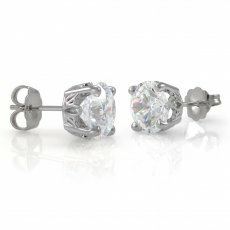 What's more, they're crafted with an attention to detail that rivals that of even the finest fashion houses. 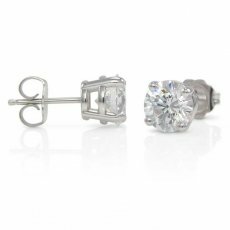 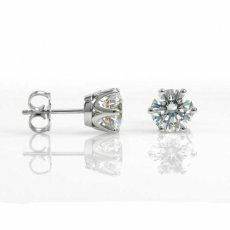 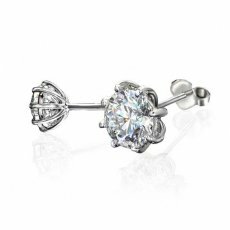 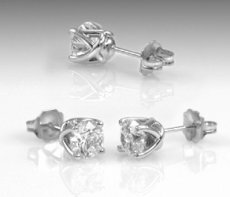 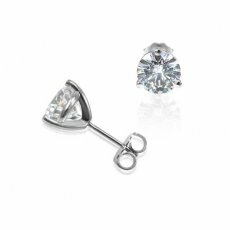 Not only do we start each earring with solid white or yellow gold, but we also sculpt the stones to ideal diamond proportions using only the finest quality D-E color and VVS clarity Russian Brilliants® cubic zirconia. 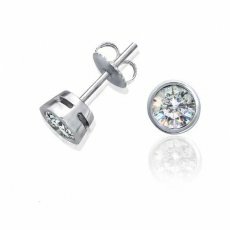 The result is a sparkle that catches attention from across the room: exactly what you want from such a simple, luxurious piece of jewelry. 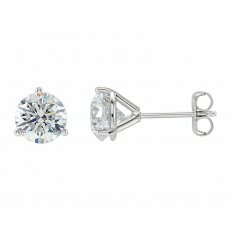 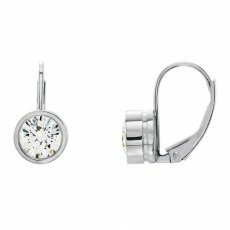 Whether you're interested in making a statement or want to channel your inner starlet, we have the solitaire earrings that will add the perfect dose of dazzle to your personal jewelry collection.